75% Off Promotional Labels - 40mm diameter - Red & White. 1,000 labels per roll. 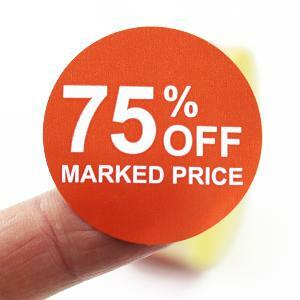 Quick and easy to apply 75% off promo labels for most retail environments. 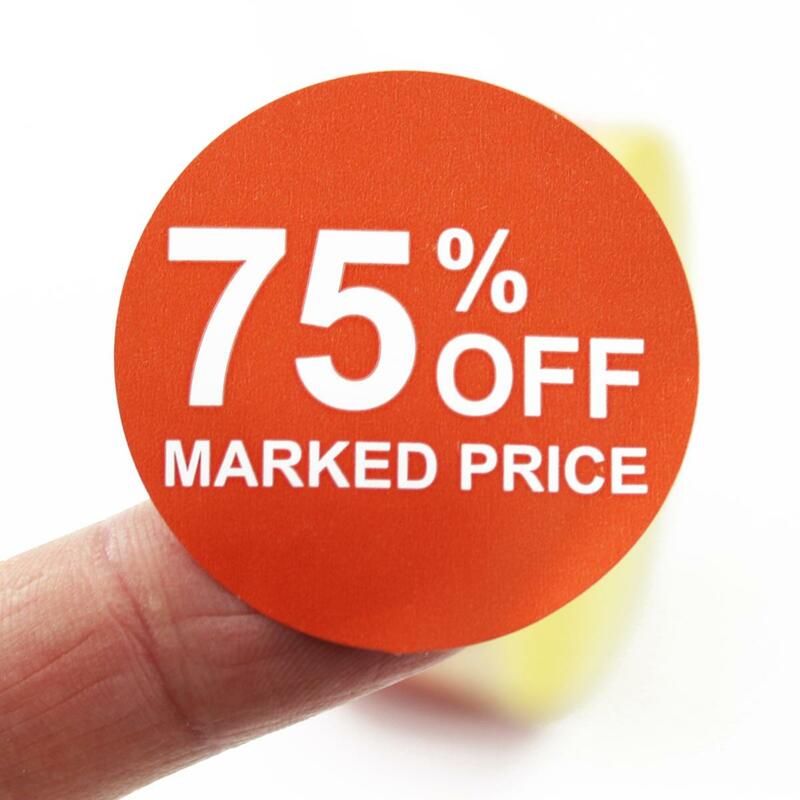 Maximise your on shelf promotions by highlighting any special offers / discounts with these 75 Percent Off promotional labels. The labels are printed white on red semi-gloss paper. 50% Off Promotional Labels - 40mm diameter - Red & White. 1,000 labels per roll.